I love autumn. The heat and humidity are gone. The overgrown plants on the trails are gone. Ticks, for the most part, are gone. And, since many folks spend more time inside as the temperature drops, the crowds outdoors are also gone. 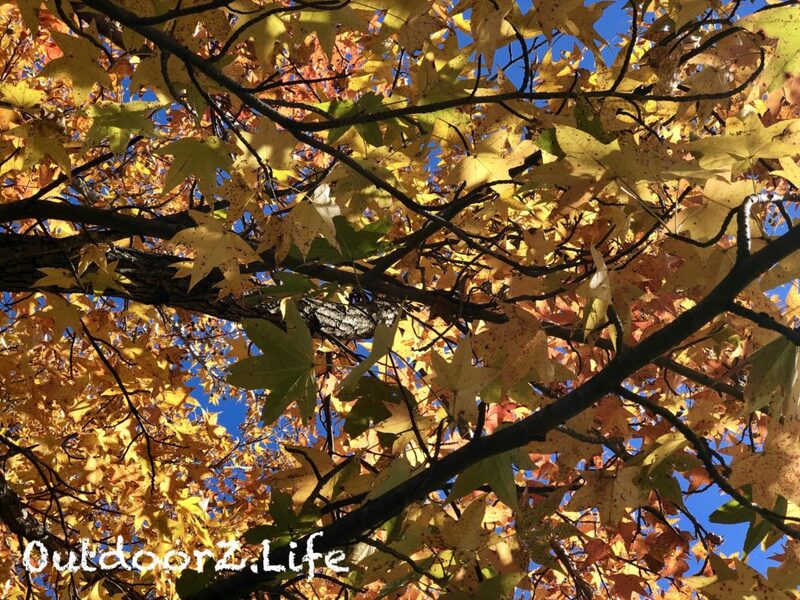 As I cross off days on the December calendar, I realized that autumn will soon be gone too…until next year. 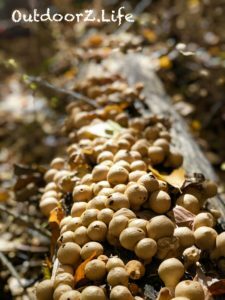 Recently, I discovered one of the best-kept secrets of the season of fall. I think it’s a secret because the stunning color display of changing leaves usually takes the spotlight and receives the lion’s share of attention. To be sure, I am a fan of viewing the fall foliage with its array of reds and yellows and I snap many pictures of this annual leaf show. However, a peculiar leaf, resting atop the water, opened my eyes to the “fireworks” that autumn displays when we look down. This autumn, while my wife and I volunteered at the 2018 Lacawac Lake-to-Lake 8K Trail Run, I spotted this interesting leaf in the water. For the event, we each stood at a trail crossing in order to ensure that the runners stayed on the course. 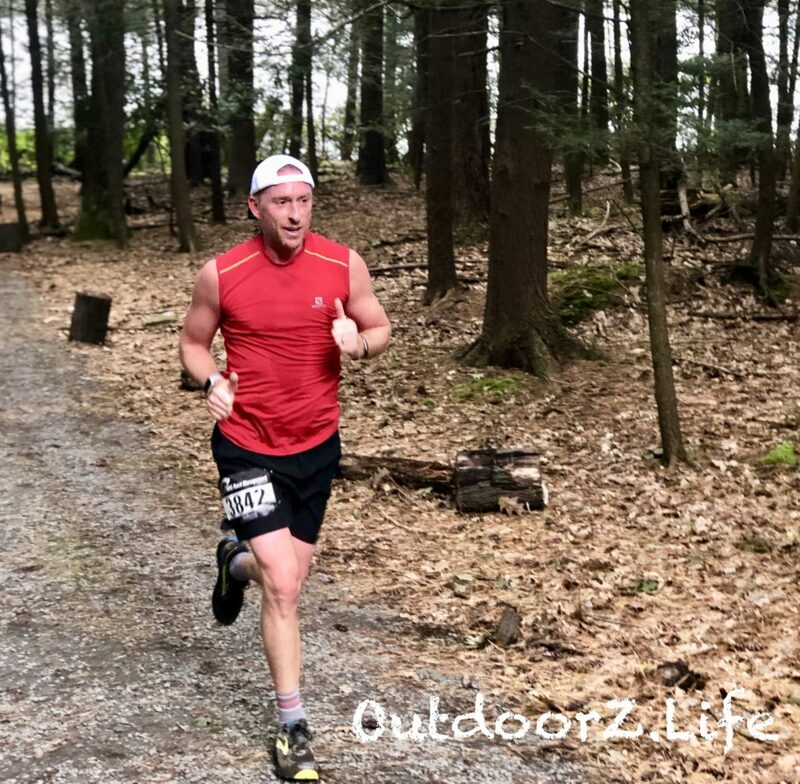 At trail races, some runners compete to win the race, others pursue a personal best, and some are just trying to survive long enough to cross the finish line. With so much on the line and the trail moving quickly underfoot, volunteers reassure the runners and point the way. As we performed our role in directing runners, we also encouraged participants as they passed by. 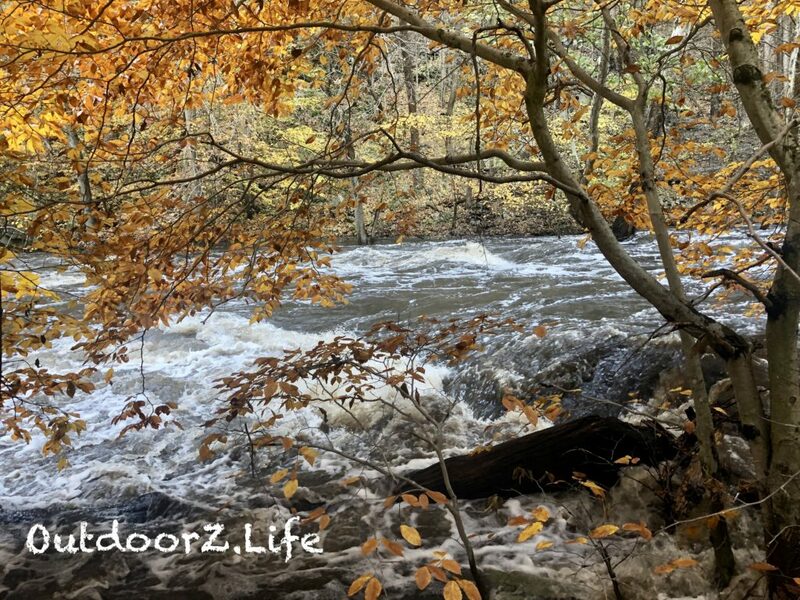 When I clapped for one runner and said, “You are almost there”, the response he returned was, “that’s what the last person told me.” I smiled and wondered if my wife, stationed up the trail, and I encouraged the runners with similar cheers. That morning, we arrived early and helped direct cars in the parking area before we headed to our posts. The race course tracked close to a beautiful glacial lake. We planned some extra time to walk to the lake and take a peek at the view, prior to the start of the race. Over the years, we have hiked to this lake many times, but the view never gets old. When we arrived at the lake’s edge, my eyes were drawn across the water to the beautiful trees on the far side. Then, I looked down. That’s when I noticed the water lilies near the edge of the lake. The leaves on the water lilies were changing colors. 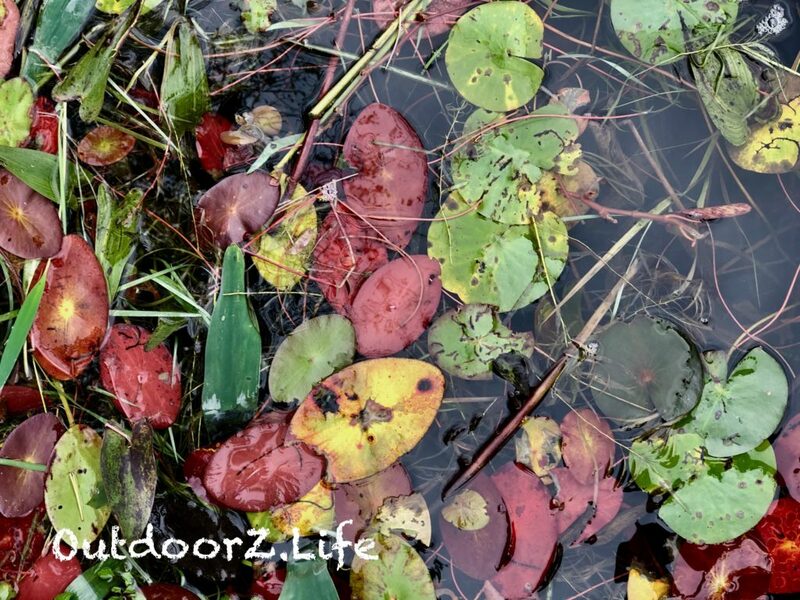 After seeing the water lilies that autumn day at the lake, I began a habit of looking down while spending time outdoors. Things that we walk past, or even walk on, can often surprise and amaze us. 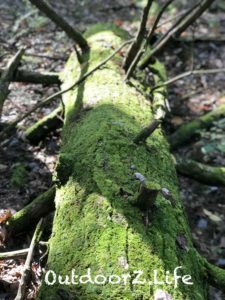 Plants, berries, mushrooms, fungus, salamanders, creeks, and fallen trees covered in moss provide an eclectic mix to enjoy.